The Academy pays a centennial tribute to one of the most popular and prolific filmmakers in fantastic cinema: William Castle. Castle had already directed more than three dozen features – chiefly film noirs and westerns – when a viewing of Henri-Georges Clouzot’s 1955 French thriller Diabolique inspired him to try his hand at the genre. The resulting film was 1958’s Macabre, a small-town mystery. To help build audience interest in his low-budget, no-star picture, Castle had the brainstorm of offering a $1,000 Lloyd’s of London insurance payment to any audience member who died of fright while watching his chiller. The success of Macabre led to a new career for Castle as a producer-director of horror films sold with inventive gimmicks such as “Emergo,” a skeleton that flew over audiences watching the Vincent Price spookfest House on Haunted Hill; “Illusion-O,” special glasses that allowed patrons to see all 13 Ghosts in their full gory glory; and “Percepto,” buzzers under theater seats that startled moviegoers in the grip of The Tingler, Castle’s signature film. 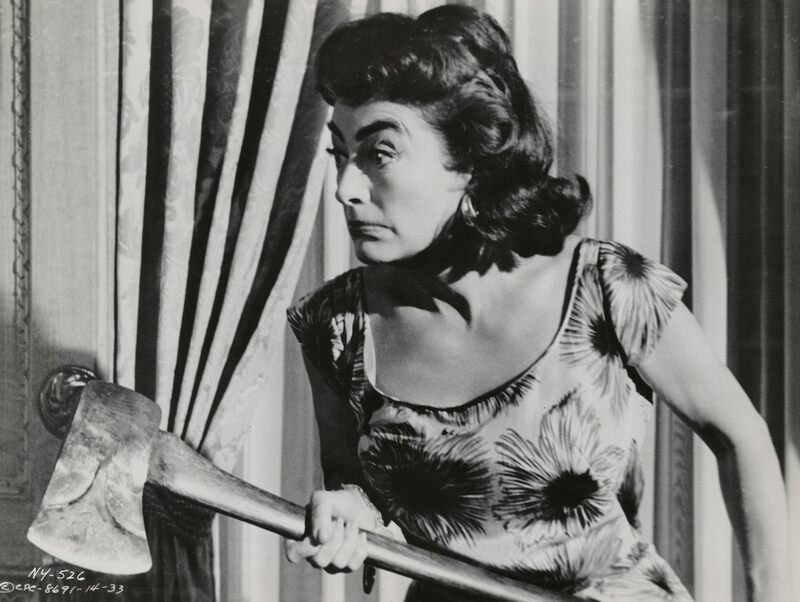 Prepare to be thrilled and chilled by such stars as Vincent Price, Joan Crawford, Barbara Stanwyck, Robert Taylor, Margaret Hamilton and Richard Conte in the Academy’s series of eight Castle classics, including a rare screenings of his 1951 Tinseltown whodunit Hollywood Story and 1964's surrealist, suspenseful The Night Walker. Plus, for every screening we’ll have ghoulish giveaways and frightful freebies! Friday, September 5 | 7:30 p.m.
Vincent Price plays a prison pathologist who discovers that the source of fear in the human body is a spinal-cord arthropod that he dubs “The Tingler.” The only cure for it? Scientifically speaking: screams! Producer-director William Castle sets much of his film in a silent movie theater run by a deaf-mute, and the film’s ingenious climax finds the audience being pursued by an unleashed Tingler. Throw in some self-experimentation with hallucinogens and a gory sequence in which vivid color pops out in the otherwise black-and-white film, and you have one of Castle’s most popular entertainments. 1959, 80 minutes, black and white, DCP | Produced and directed by William Castle; written by Robb White; with Vincent Price, Judith Evelyn, Darryl Hickman, Patricia Cutts, Pamela Lincoln, Philip Coolidge. Friday, September 5 | 9:00 p.m.
Before devoting his career to horror, William Castle directed this scintillating murder mystery set amid the sound stages, commissaries and front offices of Hollywood. Veteran noir star Richard Conte (Whirlpool, The Big Combo) plays a pioneering, take-no-guff theater luminary from New York – loosely based on Castle colleague Orson Welles – who has come out West to produce his first picture. But once he settles into a tumbledown shack on the National Artists Studios lot, he finds himself inhabiting a crime scene for a still-unsolved murder that dates back to the silent era and may involve some of its biggest players. Becoming obsessed with the case, he decides to make it the subject of his cinematic debut. He soon finds himself getting perilously close to a deadly conspiracy. Shot on evocative Los Angeles locations including the Chaplin Studios, the Motion Picture Home, Zuma Beach and Jacks At The Beach, Hollywood Story boasts a wonderful cast of silent stars as well as cameos from Joel McCrea and Francis X. Bushman. Even without flying skeletons and buzzing seats, this dark gem shows that Castle knew how to thrill an audience. 1951, 77 minutes, black and white, 35mm | Directed by William Castle; produced by Leonard Goldstein; written by Frederick Kohner and Fred Brady; with Richard Conte, Julia Adams, Richard Egan, Henry Hull, Fred Clark, Jim Backus, Francis X. Bushman. Friday, September 12 | 7:30 p.m. The first of two teamings of Vincent Price and William Castle helped to solidify the actor’s emerging fame as a horror star with this droll mystery about a group of people offered $10,000 by a millionaire if they can survive the night in a haunted house (whose exteriors are played by Frank Lloyd Wright’s Ennis House in Los Feliz). The cast of potential victims includes Richard Long and Elisha Cook, Jr. (who gets the film’s memorable last line), and for the film Castle created one of his most unforgettable gimmicks – “Emergo,” which sent a full-sized skeleton flying over the heads of moviegoers. A 1999 remake starred Geoffrey Rush and Famke Janssen, but accept no substitutes. 1959, 75 minutes, black and white, DCP | Produced and directed by William Castle; written by Robb White; with Vincent Price, Carol Ohmart, Richard Long, Alan Marshal, Carol Craig, Elisha Cook, Jr.
Friday, September 12 | 9:00 p.m.
Friday, September 19 | 7:30 p.m.
Friday, September 19 | 9:10 p.m.
William Castle teamed up Golden Age icons (and real-life former married couple) Barbara Stanwyck and Robert Taylor for this creepy mind-bender from the pen of Psycho novelist Robert Bloch. In her final big screen leading role, Stanwyck plays a wealthy woman who finds herself increasingly haunted by vivid nightmares after the death of her husband. Taylor is the attorney who may hold the key to the mystery. The Night Walker, seldom seen in recent years, is one of Castle’s final black-and-white spookfests and, aided by a spine-tingling score from “The Addams Family” composer Vic Mizzy, is also one of his trippiest. 1964, 86 minutes, black and white, 35mm | Produced and directed by William Castle; written by Robert Bloch; with Robert Taylor, Barbara Stanwyck, Judi Meredith, Hayden Rorke, Rochelle Hudson. Friday, September 26 | 7:30 p.m.
Friday, September 26 | 9:15 p.m.
Joan Crawford in STRAIT-JACKET, 1964.